This entry was posted in Australian Skilled Visas and tagged 457 business visas Australia Immigration Australia skilled immigration Temporary Skill Shortage Visa on November 2, 2017 by Blog Author. Australia can be seen as a demographic miracle. A recent survey, which was conducted by the Australian Population Research Institute, reports that a majority of the Australians wish to have a lower level of migration, and see it as being full by now. They are anxious about the pressures and impact of immigration on jobs, transportation, housing, infrastructure, and hospitals. The Australian economy has not seen a recession for more than 25 years. The last happened in 1991. The Australian economic miracle and growth strategy is not based on good economic management, the commodity super-cycle or the rise of China, but has happened because of immigration. Immigration has led to a rapid growth in its population and this has completely weighed down the ordinary business cycle. It is a demographic miracle. The economy in Australia has driven ahead with a 3.0% rate of annual growth since 1990. The population growth is 1.4% annually, defining that the economy has grown around 1.6% annually in per capita terms. Since 1990 the population of the country has grown by 8 million to touch 25 million. Calculated on arrivals a person moves to it in every 53 seconds. Considering the sources of immigration to Australia, the arrivals are mostly permanent migrants, or refugees or people on business stay belonging to subclass 457 visas. Permanent migrants are chosen for 190,000 places, and most of those getting an entry, are admitted based on skills. Meeting the family is another cause. Refugees are 20,000 per year. 457 business visas are given to 100,000 persons in a year. The 457 visa program, created in 1996 will be closed downed in 2018. The program was designed to cover the skills shortages and help businesses to fill positions. It had seen expansion in the mid-2000s. It saw a clean-up in 2013 and is now slated to be eliminated completely. Its replacement would be a restrictive Temporary Skill Shortage Visa Program to start from March 2018. The new TSS program aims to make it hard for people to stay in Australia. There are strict English language requirements for the present permanent residents who wish to become citizens. Though faced with opposition, the government plans to push it and limit immigration. Previously many immigrants shared a culture and spoke a language similar to the host population. The United Kingdom was a big source in the past decade, but now the scenario has changed significantly. China and India have now become the principal sources of permanent migration. This change has matched with an increase in home prices in the state capitals of Australia. The median home price in Sydney has doubled and has now crossed the important mark of $1 million Australian dollars. Rapidly rising prices have affected existing residents in a big way. Presently the sentiment against immigrants in Australia is not worth worrying but the anti-immigration rhetoric is on the rise. Hate crimes are low but a cheerful welcome may soon end. There are 118,000 applications from permanent residents pending for Australian citizenship. There is an opposition in political circles to immigration. 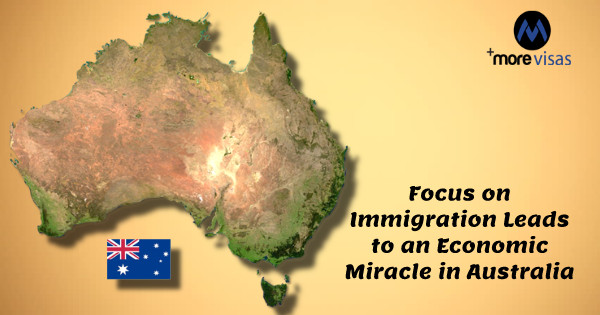 The fact is that reduced immigration has a potential to affect economic growth in Australia.